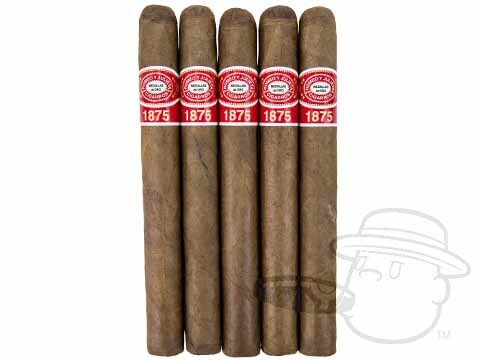 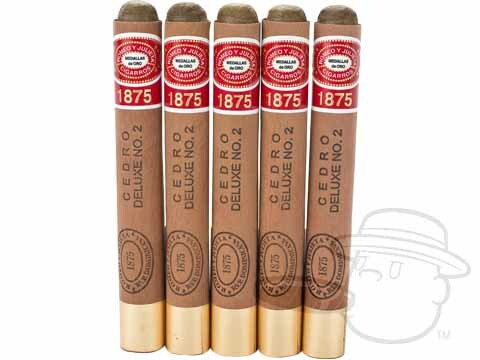 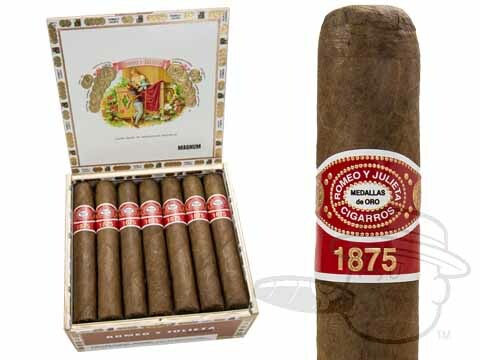 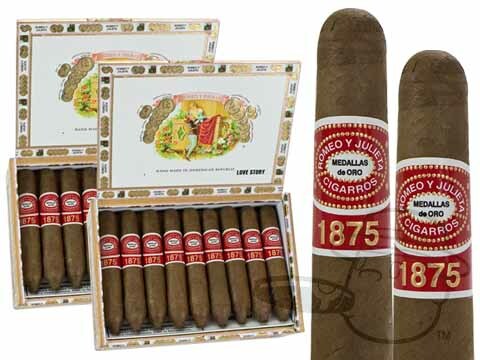 Romeo y Julieta 1875 cigars are a Dominican-made interpretation of the original Cuban cigar brand. 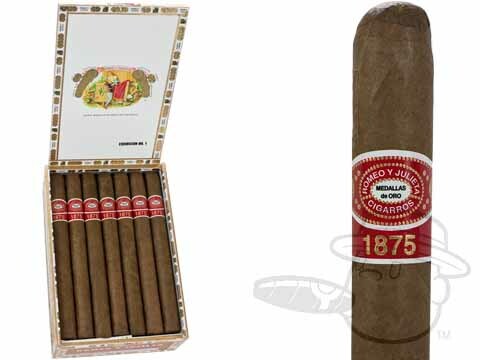 A beautiful natural leaf wrapper surrounds a classic Dominican binder and filler, providing a smooth, mellow taste with medium body. 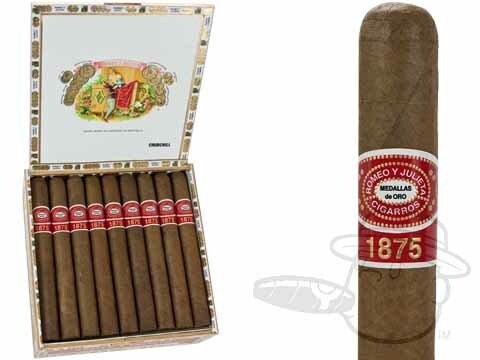 Romeo y Julieta 1875 is a long-time best-seller, and also one of the smoothest classic smokes in our humidor. 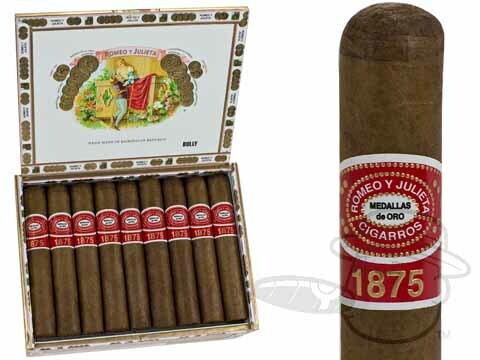 Romeo y Julieta 1875 is a Dominican-made interpretation of the original Cuban Romeo y Julieta cigar. 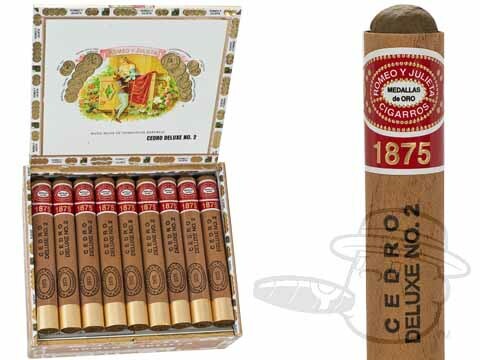 A beautiful natural leaf wrapper holds a classic Dominican binder and filler, providing a smooth, mellow taste with medium body. 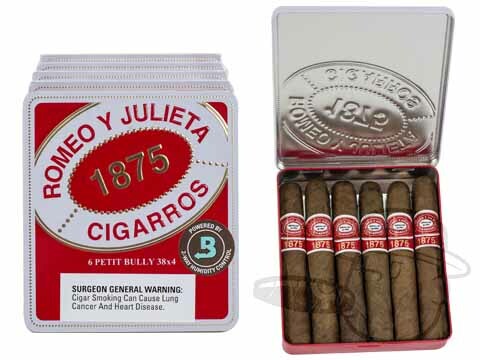 Romeo y Julieta 1875 is one of our best-selling blends, and also one of the smoothest classic smokes in our humidor. 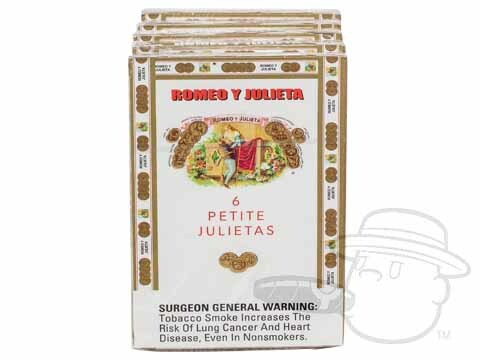 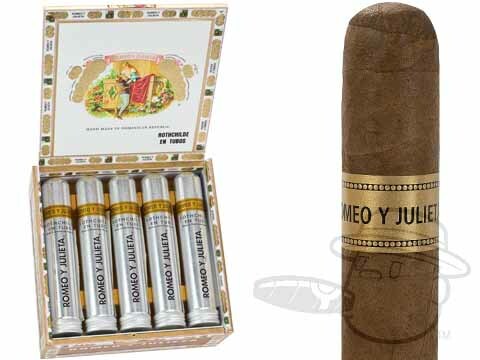 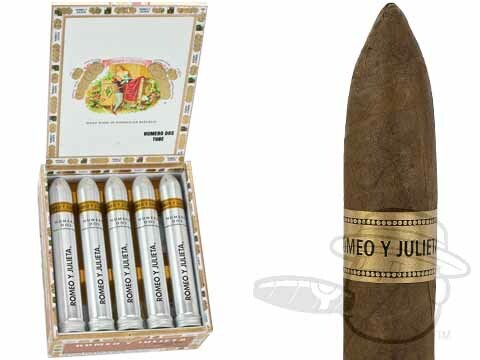 Romeo y Julieta Vintage cigars combine a silky, high-grade Ecuadorian Connecticut wrapper with three-year-aged, vintage Dominican Olor tobaccos and an aged Mexican binder leaf. 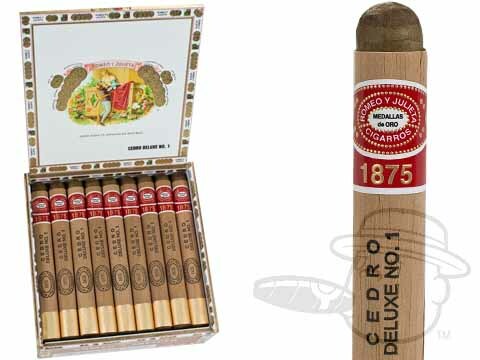 The resulting cigar is one for the record books, boasting an unmatched level of balance between rich taste and silky-smooth finesse. 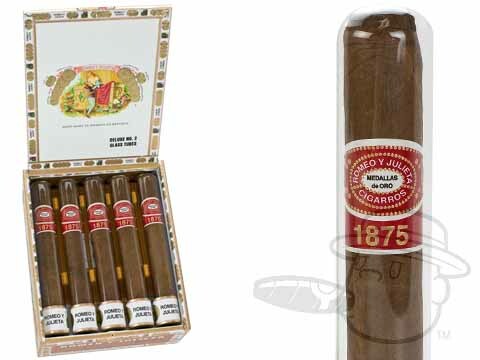 Light up Romeo y Julieta Vintage and experience the height of Dominican cigar luxury. 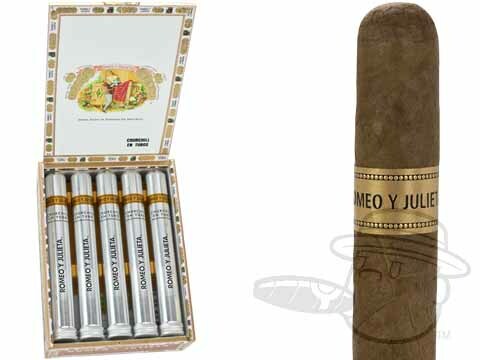 The Romeo y Julieta Reserva Real cigar was blended for the cigar lover looking for an extra-smooth smoke with uncompromising richness. 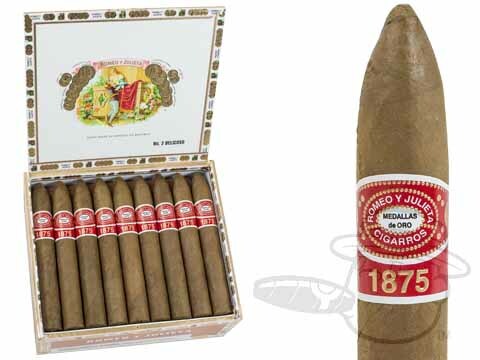 The Reserva Real's flawless Connecticut Shade wrapper, Nicaraguan binder, and blend of Dominican and Nicaraguan long fillers culminate in a flavorful and aromatic smoke with pronounced notes of smoky cedar, leather, and spice. 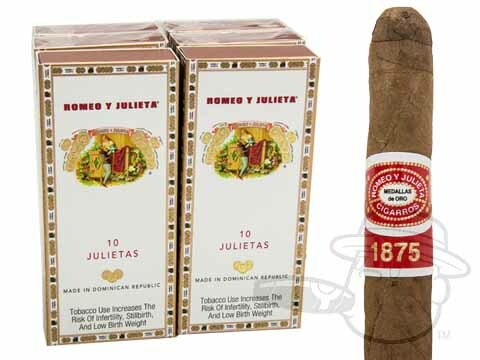 Seamlessly rolled in dark, oily Nicaraguan wrapper leaves, Romeo y Julieta Habana Reserve is a marvelously robust cigar brimming with earthy-spicy tobacco flavors and a sweet and spicy aroma. 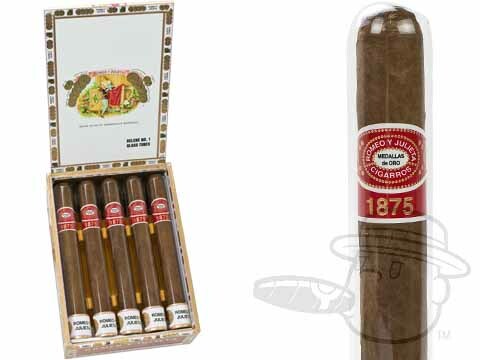 Handmade in the Flor de Copan factory in Honduras, the Habana Reserve combines Romeo y Julieta's legendary smoothness with the rich, hearty flavor of only the most choice Nicaraguan & Honduran long filler tobaccos. 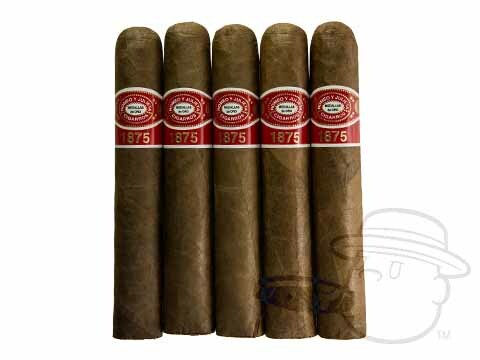 RyJ by Romeo y Julieta is crafted with 100% Nicaraguan tobaccos from the Jalapa Valley and Esteli and features an exclusive La Comana wrapper leaf never before used on any cigar. 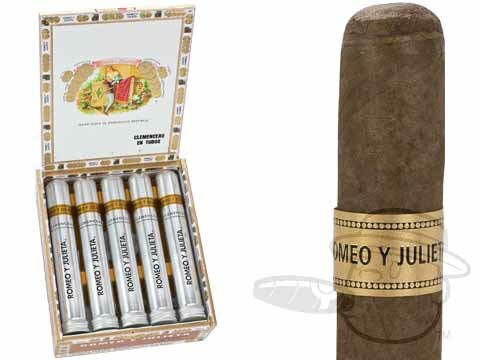 This "new-school" offering from the Romeo y Julieta brand is rich, robust, full-bodied, and intensely spicy to suit the tastes of today's discerning aficionado. 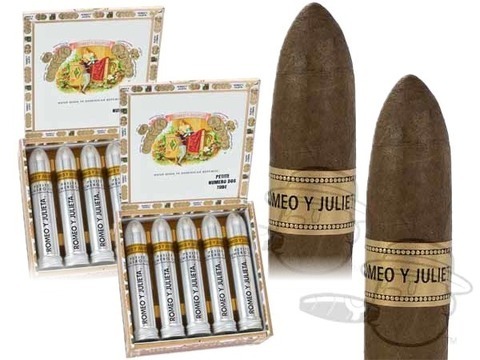 A departure from Romeo’s usual Dominican-made blends, Havoc hails from Honduras, using a rich mix of Nicaraguan and Honduran tobaccos for a much fuller flavor than the original Romeo y Julieta profile. 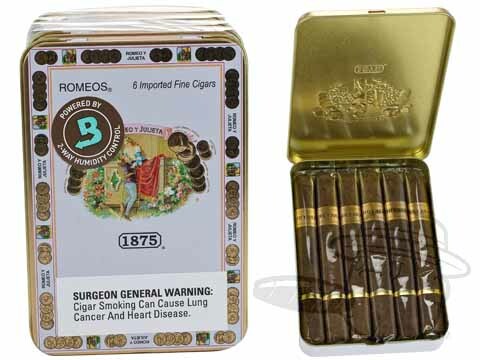 A zesty Habano wrapper is the star of the show for this robust medium-bodied blend, which comes in all large ring-gauge sizes. 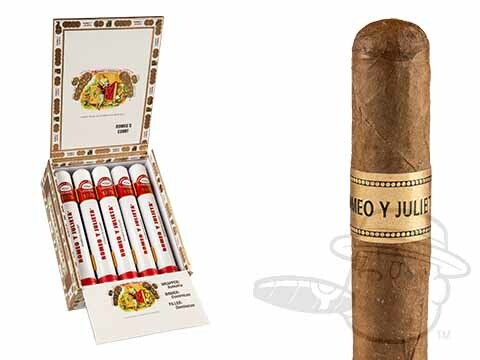 With notes of cedar, leather, and a creamy finish, the Havoc is a bold new step for the legendary Romeo y Julieta brand. 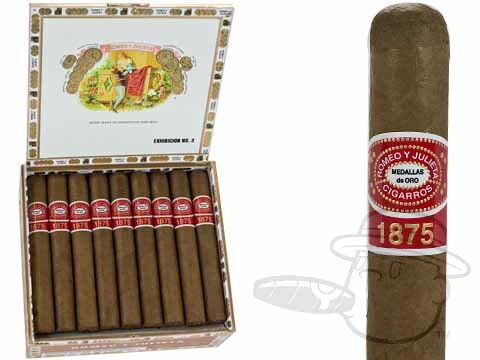 Get your favorite Romeo y Julieta cigar at the lowest price online here at BCP and experience the taste that has hit the spot for over 100 years and counting.